Angel Fragrance is a classic scent that has delighted its fans for some time. Now, you can have it ﻿any number of ways! The Pink Shell Resort is a famous Southwest Florida landmark. So our duplication of "Angel" fragrance is in their honor. The fragrance blend includes black currants, musk, sandalwood, hazelnuts and peach. There are essences of chocolate, caramel, bergamot, and vanilla. Sanibel Naturals has no affiliation with “Angel” fragrance by Thierry Mugler. The Shea Butter Soap is sold as a 4 bar pack. Home Fragrance will last about 5 months and is in a 10 ounce jar. Organic Body Wash and Organic Room & Linen Spray are refillable. Please test the Room & Linen Spray in an inconspicuous ares before spraying fabric. Other popular fragrance duplications are Amber Romance, Periwinkle, Ghost Orchid, and Beach. 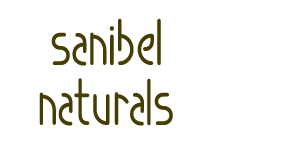 © Copyright 2016 Sanibel Naturals. All rights reserved.